Former President Barack Obama and former First Lady Michelle Obama have acquired author Michael Lewis’ nonfiction book The Fifth Risk — a gloomy expose about the far-reaching ramifications of a Trump presidency — to make into a Netflix series, according to reports. The Fifth Risk, slated for release on October 2 via W.W. Norton, details the so-called “chaos and mismanagement” that occurred inside the Departments of Agriculture, Commerce, and Energy during the transition period between Obama and then-president-elect Donald Trump. Lewis claims the Trump transition team selected candidates for key agency positions that they were highly unqualified for, while some jobs still remain vacant. “One interview in the book is with John MacWilliams, who served as the Energy Department’s first-ever chief risk officer. He conveys his worries that any shortchanging in the department under Trump could lead to a nuclear-weapons accident, a potential conflict with North Korea or Iran, or an attack on the U.S. electrical grid,” according to Deadline. Press representatives for the Obamas and Lewis declined to comment on the report. In May, Netflix announced it would partner with the Obamas to develop original content for the video streaming giant. 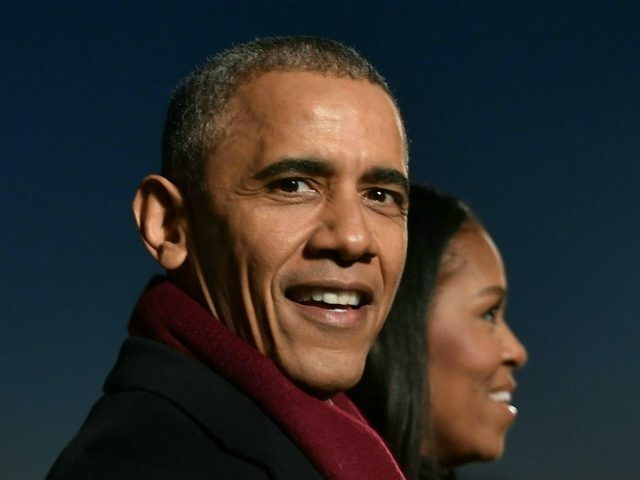 “President Barack Obama and Michelle Obama have entered into a multi-year agreement to produce films and series for the streaming platform, potentially including scripted series, unscripted series, docu-series, documentaries, and features,” a statement from Netflix read.